Whatever you use your WordPress website for and whatever seasonal look you want to create, here are some of the best themes you can use for inspiration or to give your website some festive cheer. If you don't already have WordPress, you can install it in a click for free. 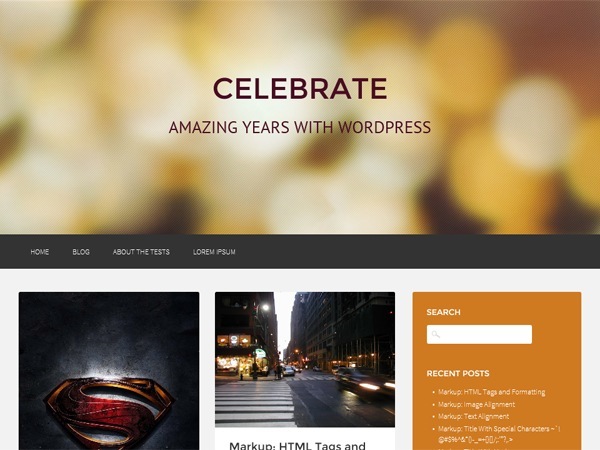 A well-crafted WordPress.com theme, Spirit is free to download but you'll need a WordPress.com account. Check out the demo or download it. 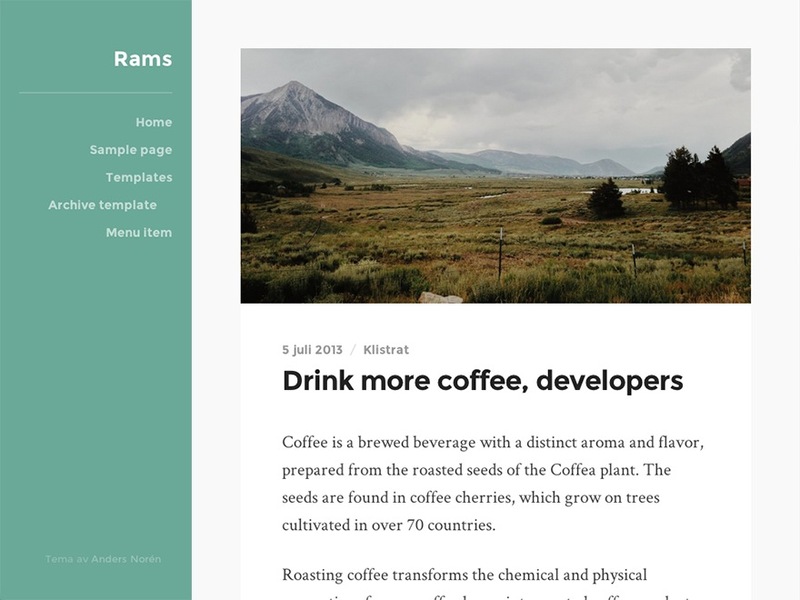 Rams is a fantastic sublte theme for corporate and personal blogs alike. Leave it simple or use a few font and image tweaks to put your own stamp on it. Preview and download the theme here. A silhouette of Santa and his reindeer adds more interest to this quirky theme. Download and/or preview Dancing in the Moonlight here. 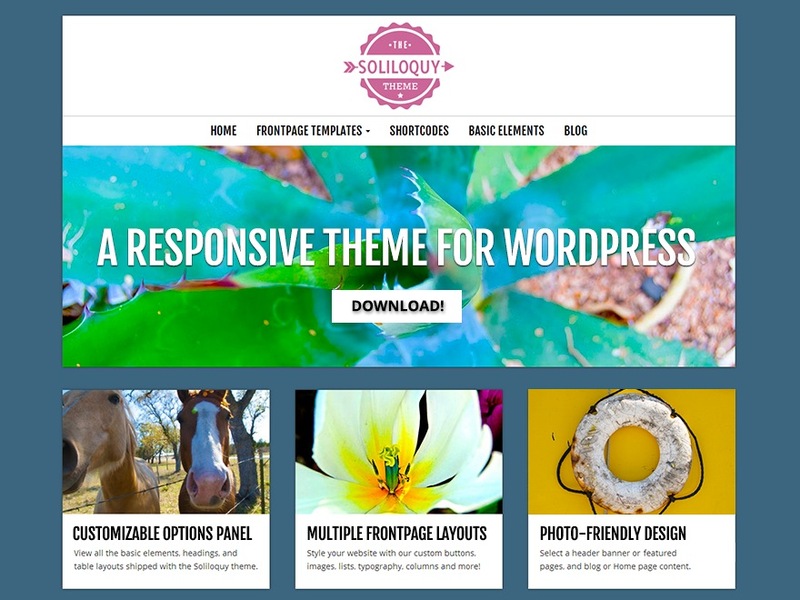 Soliloquy is a classic and simple WordPress theme, which benefits from being fully response. Ideal for business websites and portfolios. 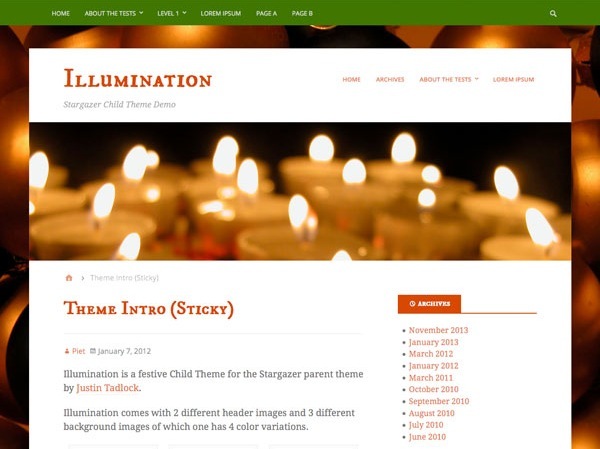 A theme made by its photography, Illumination is a great choice to take your website from autumn to winter. Preview and download Illumination. 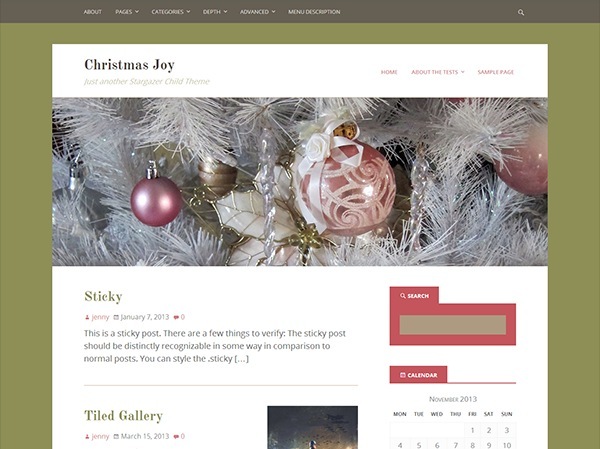 A cute theme for children's websites or those wanting to rediscover their inner child, ChristmasPress is a colourful and well-structured theme. Preview or download it here. A simple, minimal theme, Icy provides a good blank canvas for your own creativity or those who want a subtle look for the season. Take a closer look at Icy and download it here. 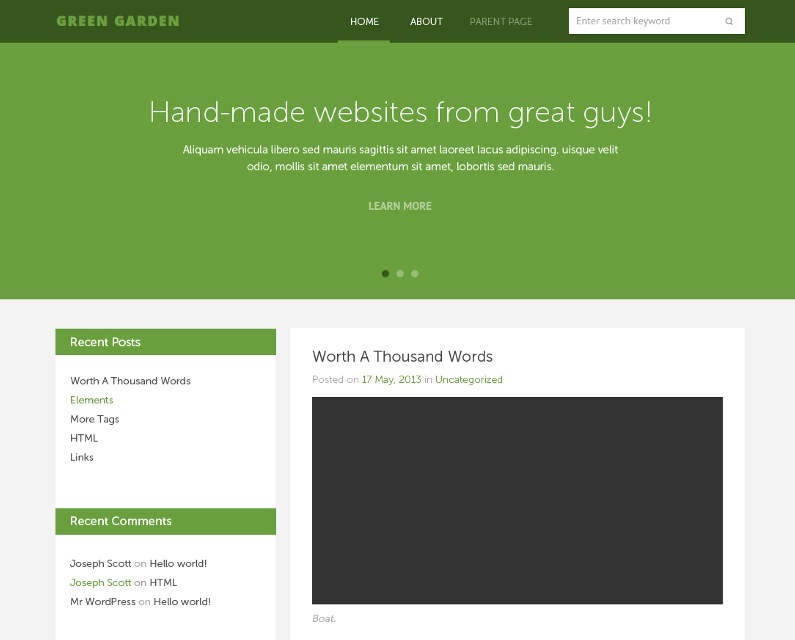 If you're looking for a theme that can be adapted to suit your website all year round, Green Garden is a great choice. You can dress it up or down depending on your preferences. Based around olives and soft burgundys, Christmas Joy invokes the stereotypical colours of Christmas with an unusual twist. 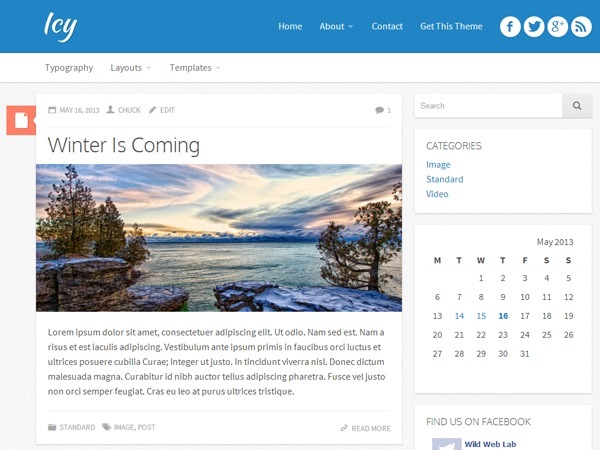 It's a beautifully designed theme that can easily be made your own. 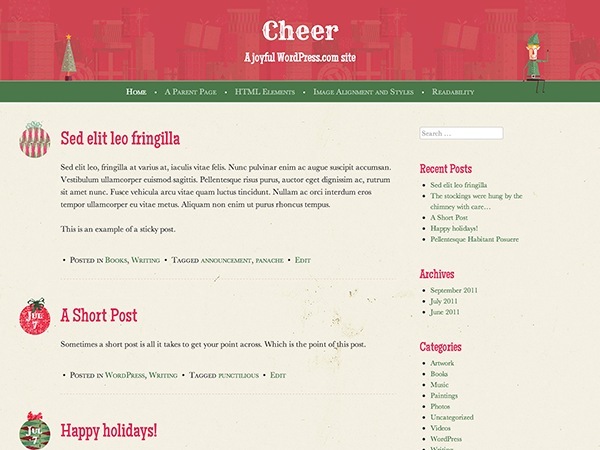 A festive green and red theme, Cheer helps you embrace Christmas in all its glory. Preview and download the theme here. 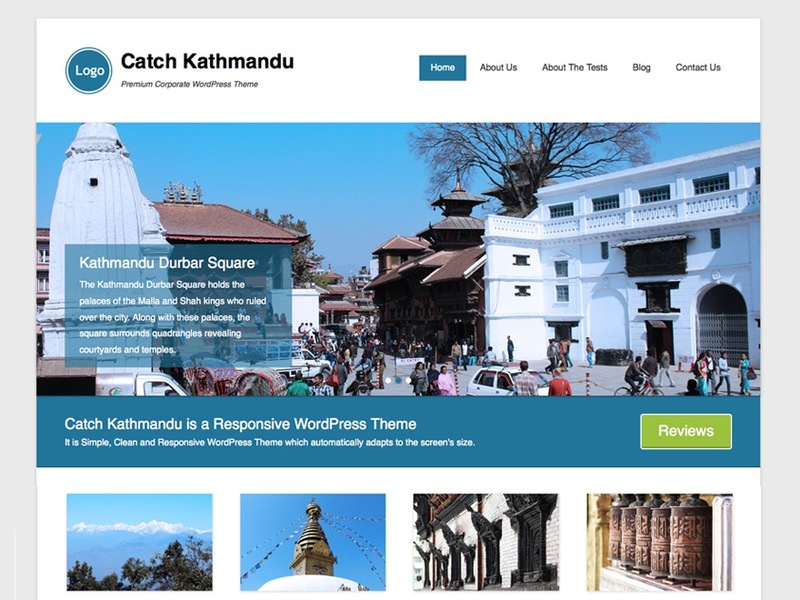 Whilst Catch Kathmandu wasn't originally designed for the winter, its cool blues and elegantly responsive design help you wrap your website in a subtle array of holiday tones. Perfect for the party season right through to New Year, Celebrate's bokehs make it ideal for businesses offering themed goods and services, or anyone who wants to add a bit of subtle sparkle to their WordPress install. 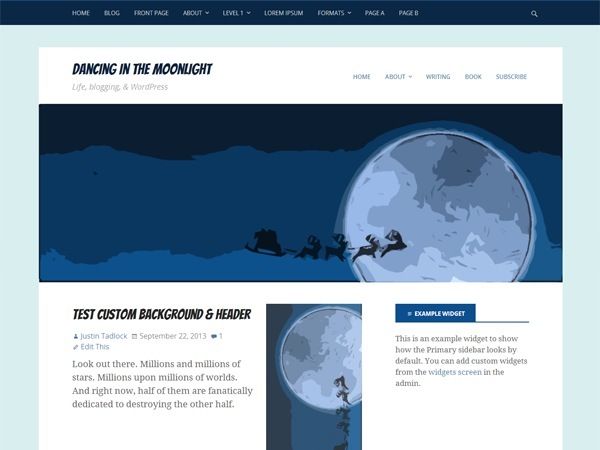 Are you decorating your WordPress website for Christmas? Let us know in the comments! Could you do a really useful post… review themes based on performance. Many of the purchased themes come with a million and one options and scripts in built that really destroy performance, and flagging that to your customer would be very valuable. I know it is unlikely – but would be good. Great idea, let me have a think about the best/most practical way to do it and we’ll try and get something together for you.